A man with 'Stud' in his name can surely be trusted to get things done in style. Master piano and organ maker, Mr Studley is most famous for designing The Studley Tool Chest. 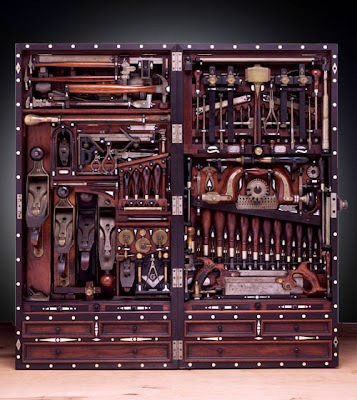 The hanging chest holds 300 tools, is 40 inches square when open, and continues to boggle the mind. Hi, unfortunately there was only one tool chest made, and it has been purchased by a private collector.